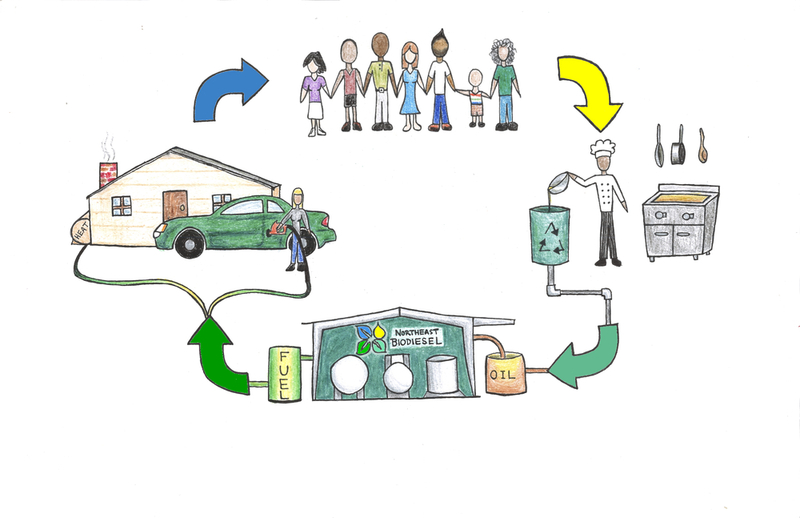 The Community Biofuel Program is a movement for local, sustainable fuel that centers on strengthening our community. The idea is to forge mutually beneficial relationships between members and restaurants, in which members support the restaurants that recycle their cooking oil to produce biodiesel. This understanding of loyalty to the community allows for both restaurants and members to get what they want: a stronger customer base for restaurants, and a local, sustainable, green fuel for members. Co-op Power, in conjunction with Northeast Biodiesel, fills in the rest. With a healthy supply of locally recycled cooking oil, we can synthesize and distribute exactly as much biodiesel to the community as we receive. Please join us in our mission to bring locally sourced biodiesel for you to use in your engines and furnaces; all it takes is visiting your favorite restaurants and telling them how much this cause means to you. Thank you for helping us build a sustainable future right here in New England!